The Old Ship Saloon is not a particularly interesting bar as it stands today, but it has one of the more remarkable histories of American bars. It's origins can be traced back to 1849, when the three masted whaling ship the Arkansas ran aground on Bird Island (now Alcatraz). The ship was towed to Yerba Buena Cove and set on a beach with several other ships abandoned in the gold rush. 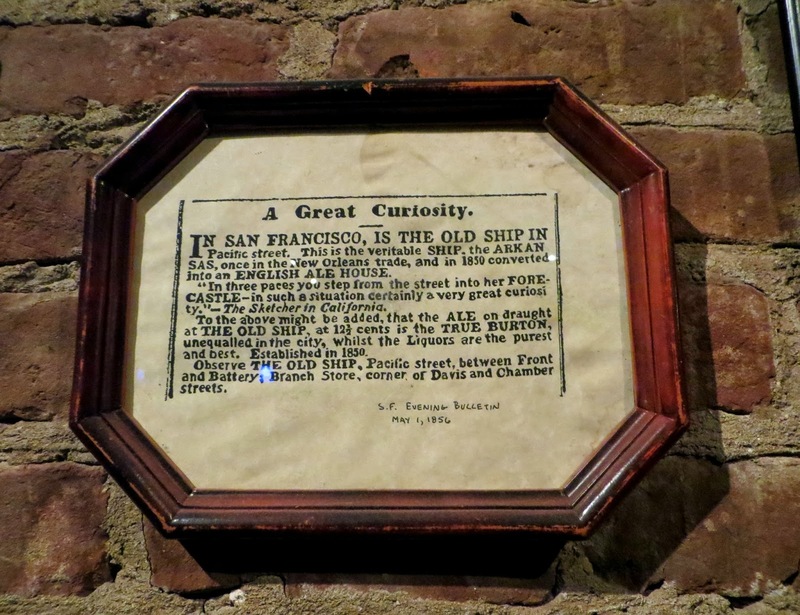 The area became increasingly landfilled, with the ship below what would eventually become the corner of Pacific and Battery -- one of any number of Barbary coast ships now buried under the San Francisco streets. 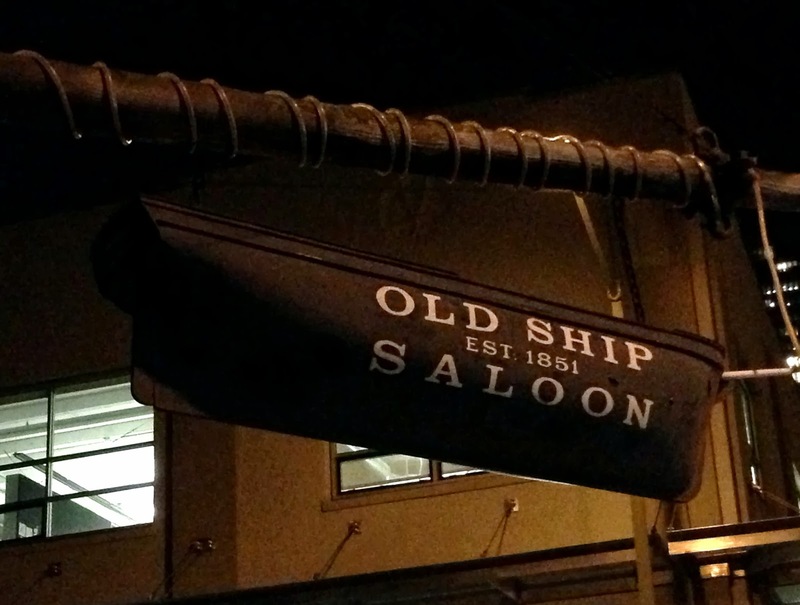 By 1850 locals had come to refer to it as "the old ship," and in either 1850 or 1851 Joe Anthony cut a door in the hull and opened the "Old Ship Ale House." A sign on the gangplank down to the Pacific Street Pier is said to have read, “Gud, Bad, and Indif’rent Spirits Sold Here! 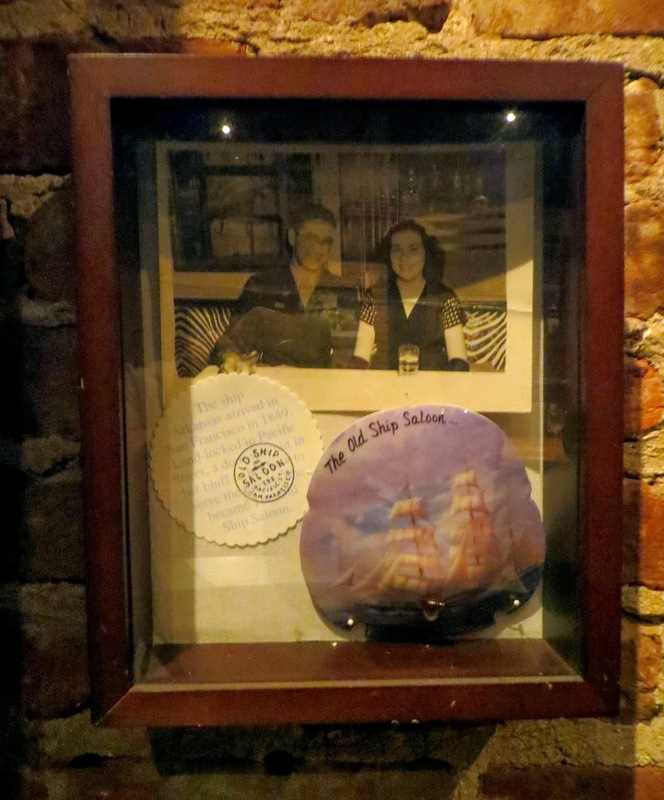 At 25 cents each.” (1) A rooming house for sailers as built on the deck in 1855 (by that time landfill had filled in the surroundings), and in 1859 this was torn down and replaced by a brick hotel, with a bar that continued under the name of The Old Ship Saloon. The hotel was destroyed in the great earthquake in 1906, and the current building was constructed in the space in 1907. During the 40s it was notorious for the brothel upstairs, largely serving WWII servicemen. It is unclear exactly what names the bar has operated under for all of this time, but it was named "Bricks" for much of the 20th century and re-named the "Old Ship Saloon" in 1999 by Bill Duffy, who purchased the place in 1992. Despite being able to trace its history to 1851 in some sense, given that it neither consistently retained the name nor is located in the same physical structure, I do not count it as quite the oldest bar in San Francisco (see my entry on The Saloon for a discussion). 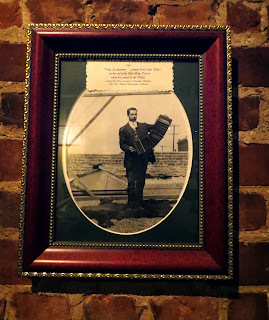 But it is nice to see that recent owners have restored the old name and revived the history with various old photos and artifacts on the exposed brick walls. The saloon now serves pretty typical cafe/pub food and drinks to a white collar working crowd.